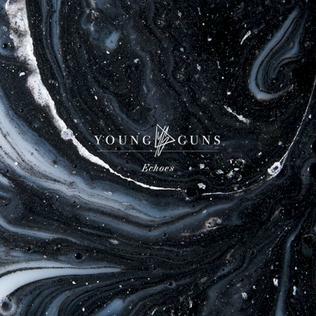 On September 16, 2016, “Wind-up Records” label released “Echoes”, the fourth Young Guns studio album. It was recorded in 2016 at “House of Loud”, and was produced by David Bendeth. All tracks by Gustav Wood, Fraser Taylor, John Taylor, Simon Mitchell and Chris Kamrada, except where noted. 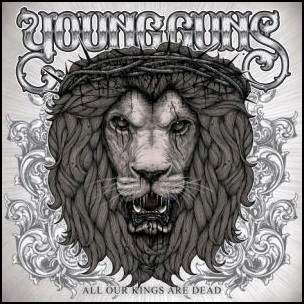 On July 12, 2010, “Live Forever” label released “All Our Kings Are Dead”, the debut Young Guns album. It was recorded in 2010, and was produced by Dan Weller. All music by Gustav Wood, Fraser Taylor, John Taylor, Simon Mitchell and Bon Jolliffe, all lyrics by Gustav Wood.